The Girl Scout Bronze Award The Girl Scout Bronze Award is the highest national award that a Girl Scout Junior in grades 4-5 can earn. It is a group project. To earn it a girl must work on a Take Action Project that focuses on something she and the troop care about and would like to improve in the Girl Scout or local community. The recommended hours each scout must spend on the project is 20. 2014 Rosemary Ballmann, Perrin Chalk, Aria Grimbsy, What’s in Your Water? 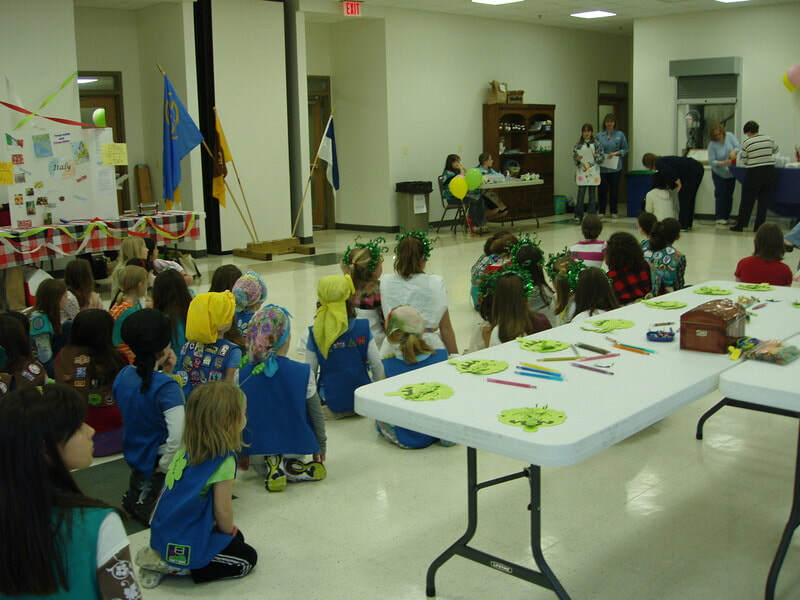 Troop 3032 completed their bronze award by finding a need in the community. The neonatal intensive care unit (NICU) uses state of the art isolettes (incubators) that help protect the neonates. They needed big blankets (30+) that cover the isolettes to protect their eyes and it gives the parents a keepsake. Even though the troop couldn't see the babies, the girls knew they made a big difference by putting smiles on the parents, nurses, and staff members. ​"Evan Foundation Collection and Blanket Making"
The troop collected small toys and candy in addition to making blankets for the Evan Foundation that supports patient-wellness programs designed to brighten the days of children enduring long and difficult stays in the hospital and at home. The troop donated the items they collected and the blankets they made to benefit children with cancer at Children's National Medical Center. The troop made care packages consisting of a blanket, teddy bear, and activities for children (pre-k level) in a local women's shelter. The girls knotted their blankets, sewed and stuffed their teddy bears. 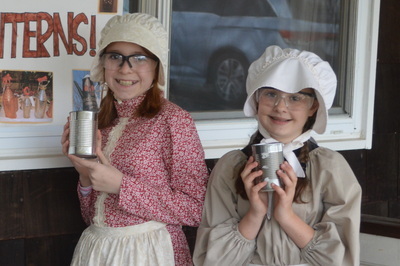 Wanting to bring a different kind of program to the girls in the Service Unit, the troop designed and ran a Pioneer Day event for the Service Unit by which girls could earn the Oregon Trail Try-It, Badge or IP by rotating through six stations including toy making, tin can lantern making, candle making, butter making, animal tracking and tobacco pouch making and children's chores with washboard. 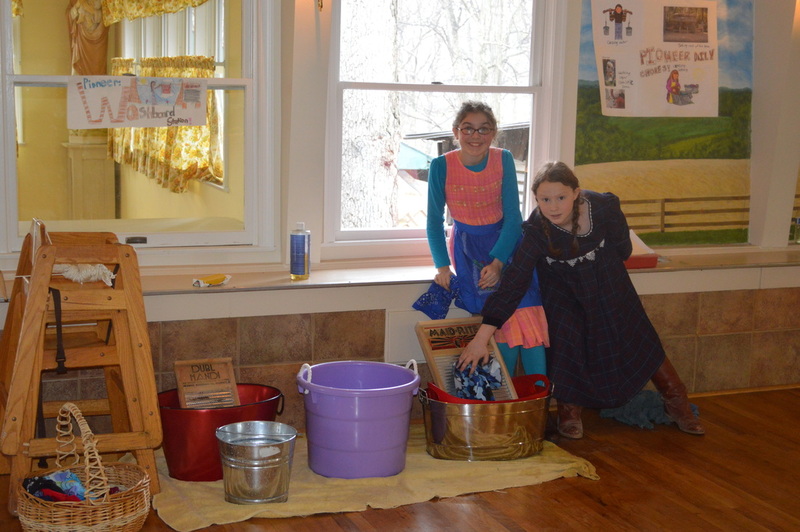 The troop designed and ran an information campaign to inform those with private wells in the upper western region of the Montgomery County Agricultural Reserve about the importance of properly maintaining and regularly testing a private well. To spread this message in their community, Troop 2239 partnered with: the Groundwater Foundation; the Chesapeake Water and Septic Homeowner Education (WaterSHEd) program - A joint effort between the University of Maryland Extension and University of Maryland School of Public Health; and with Fredericktowne Labs (a woman-owned certified well testing lab in Frederick Maryland) to provide information, testing kits and a discount coupon to private well owners in the upper western region of the Montgomery County Agricultural Reserve. 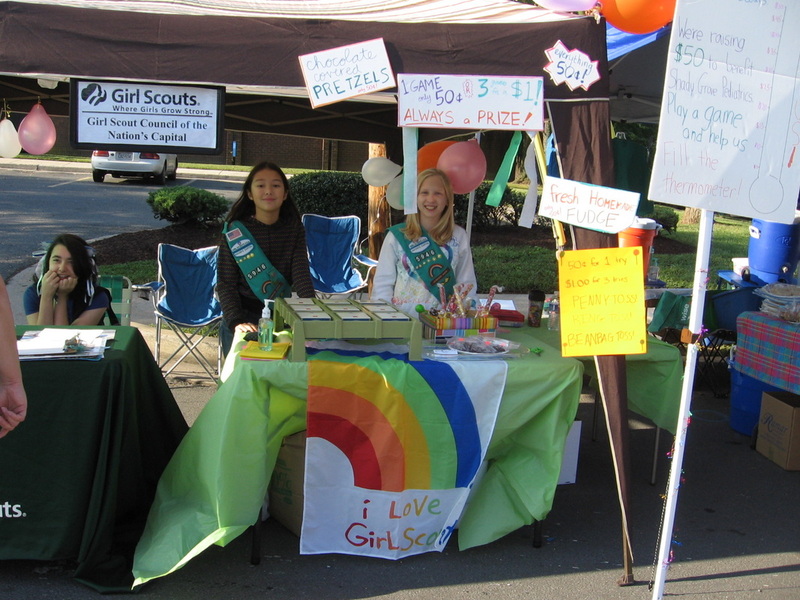 ​The Troop distributed information at Poolesville Day and at local churches and events. The Troop also participated in projects to clean up streams and protect the local watershed. The girls created a first aid/new owners "emergency" booklet for dogs for the Lab Rescue Society and also made paracord dog collars. "World Thinking Day Event for Service Unit"
Organized World Thinking Day event for the Service Unit (handmade swap bags from recycled fabrics, planned for all re-usable materials (take home cups, plates etc), planned superhero "we can save the planet" theme. ​The troop collected multiple bags of linens and other items to help rescued dogs and cats cared for by Lizzy’s Lodge, a non-profit animal rescue organization in Maryland. Special thanks go to Lynn Selby of Selby’s Market, and other local businesses who hosted collection boxes: Healthworks, Peachtree Veterinary Clinic, Poolesville Veterinary Clinic and The Barnesville School. ​To learn more about the needs of animal rescue organizations, the troop planned field trips to volunteer at Day’ End Horse Rescue and attend community programs at Second Chance Animal Rescue, in addition to supporting Lizzy’s Lodge. 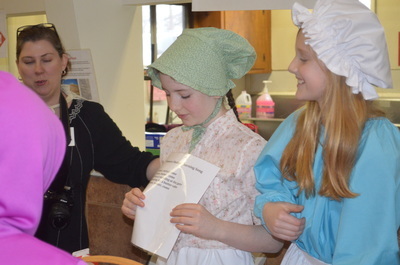 ​Each year on February 22, World Thinking Day, girls across the world participate in activities and projects with global themes to honor their sister Girl Guides and Girl Scouts in other countries. 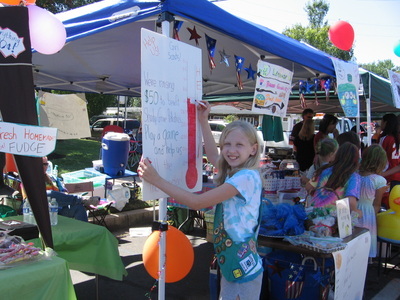 Troop 430 ran a Thinking Day event for the Service Unit. The troop asked the troops participating to highlight how their chosen country was working to help end extreme poverty and hunger. The World Association of Girl Guides and Girl Scouts (WAGGS) member the troop chose to highlight themselves was Hong Kong. 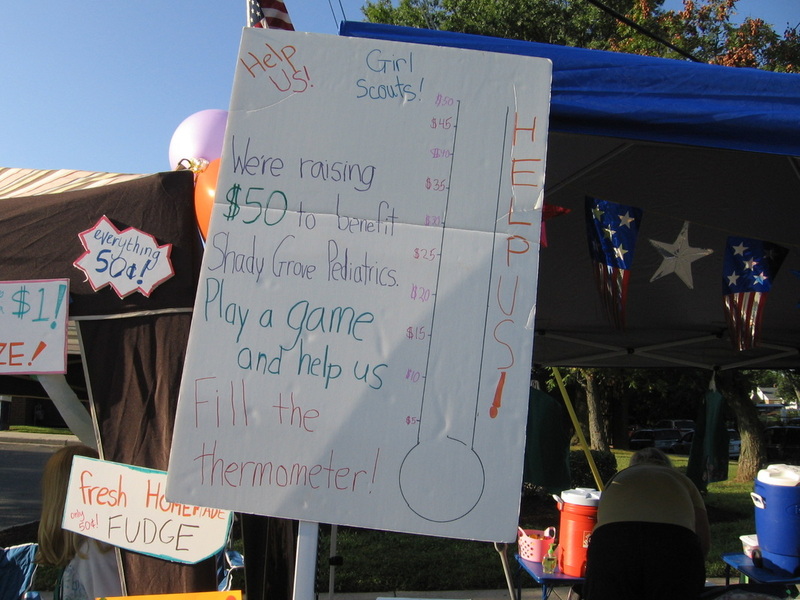 Organized activities to raise funds and collect donated needed items at Poolesville Day and throughout the Poolesville community for the Pediatric Unit at Shady Grove Adventist Hospital.